Merry Christmas. 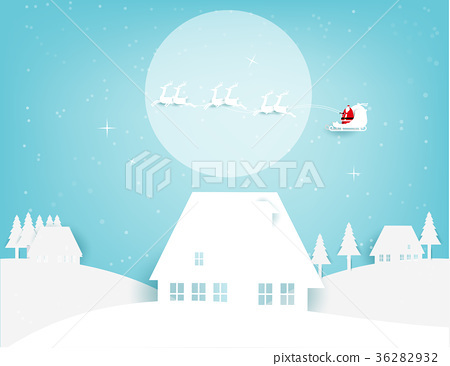 Santa Claus flying on the moon and snow in the winter season. Concept holiday vector illustration. Paper art style.